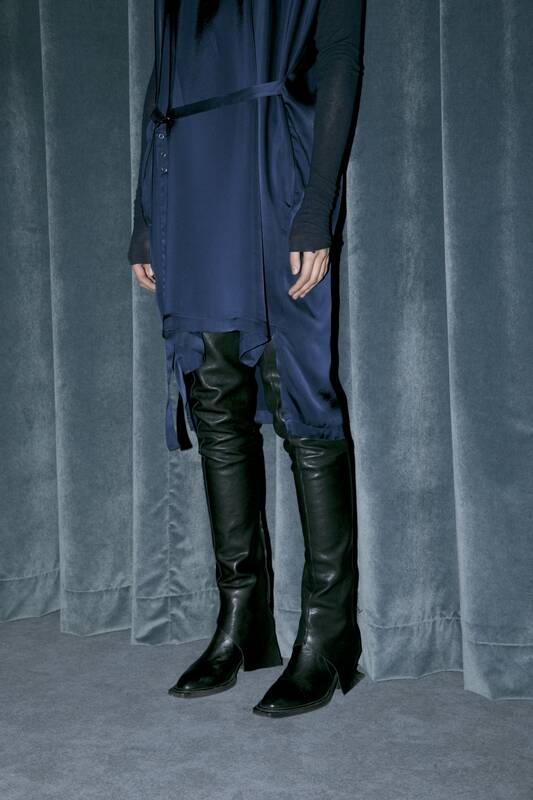 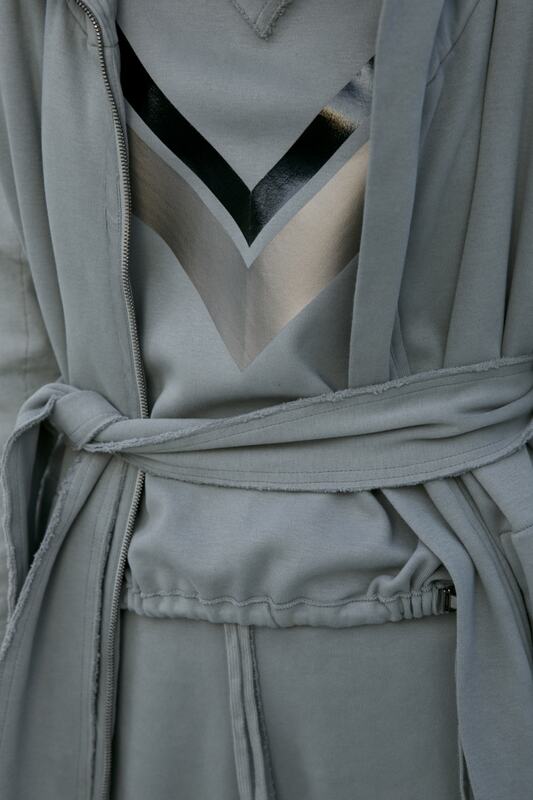 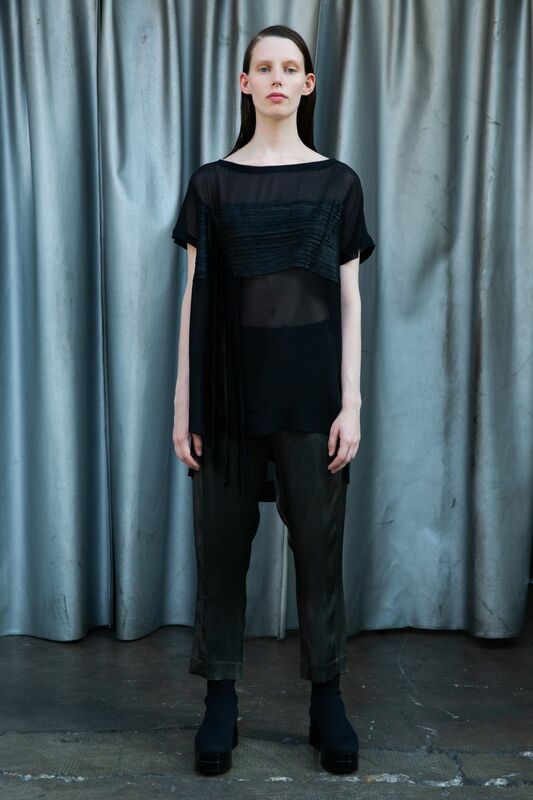 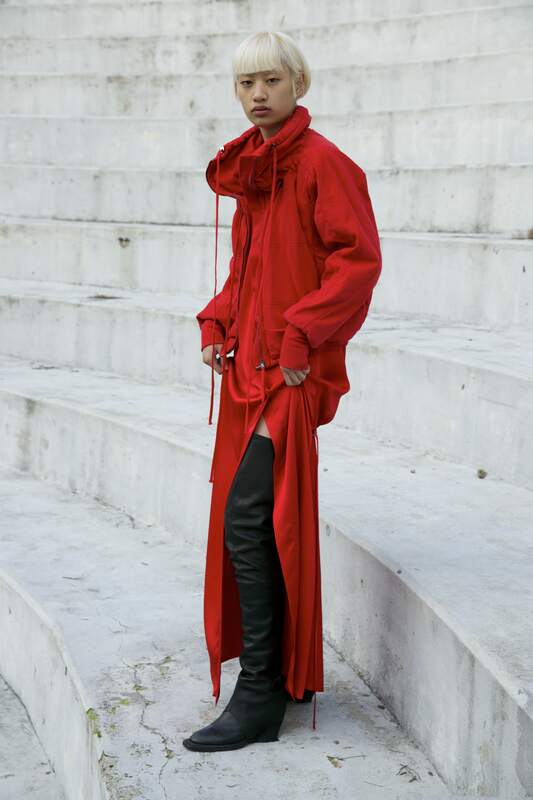 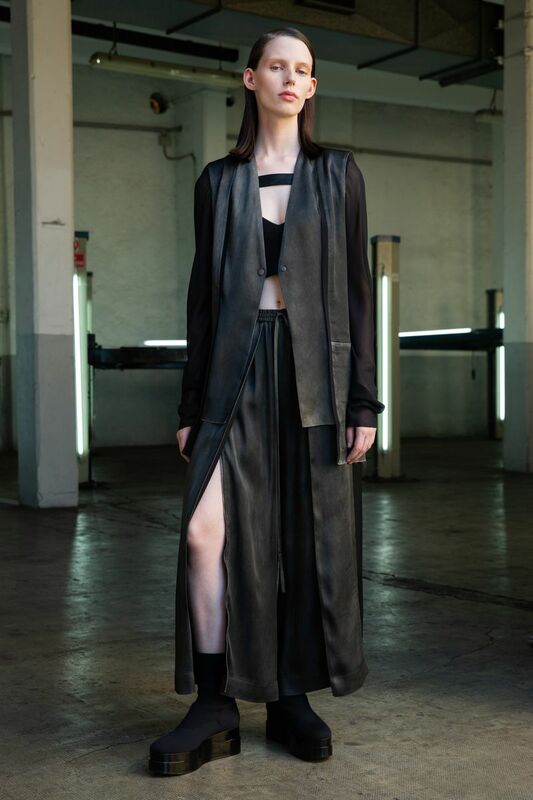 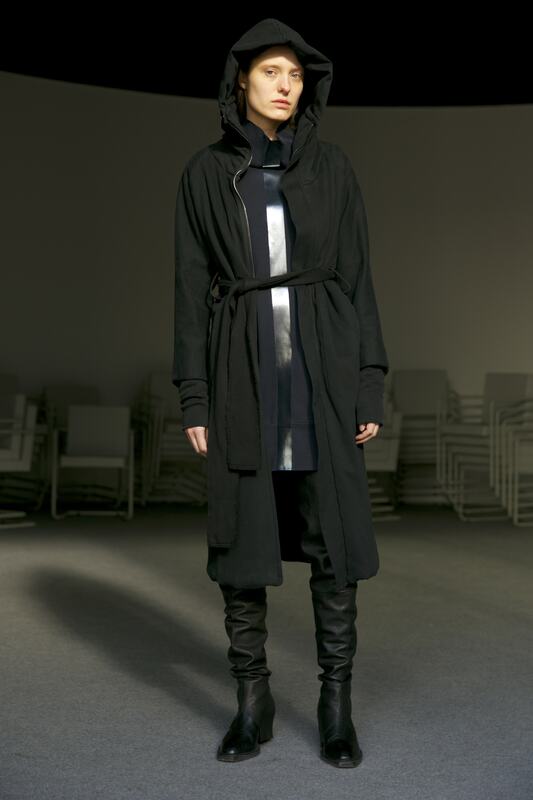 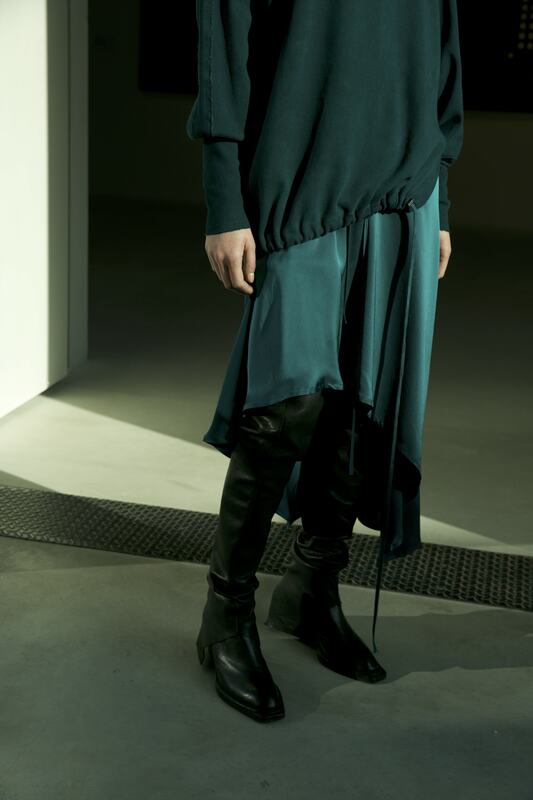 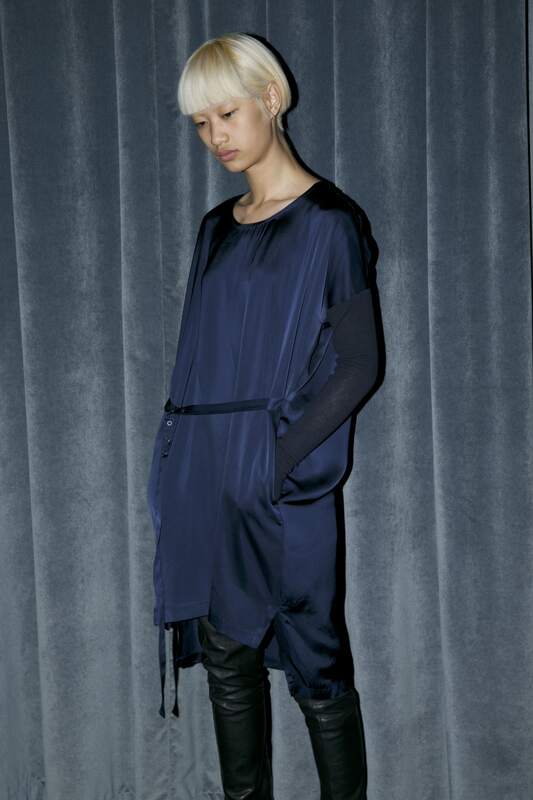 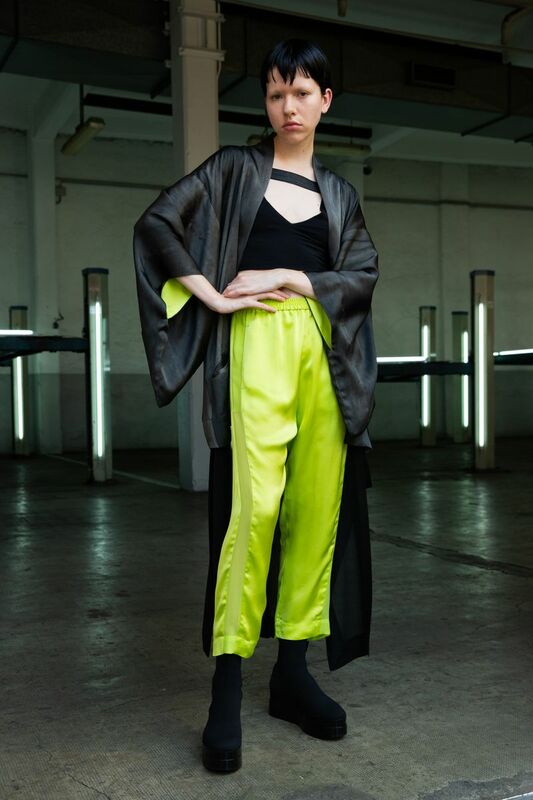 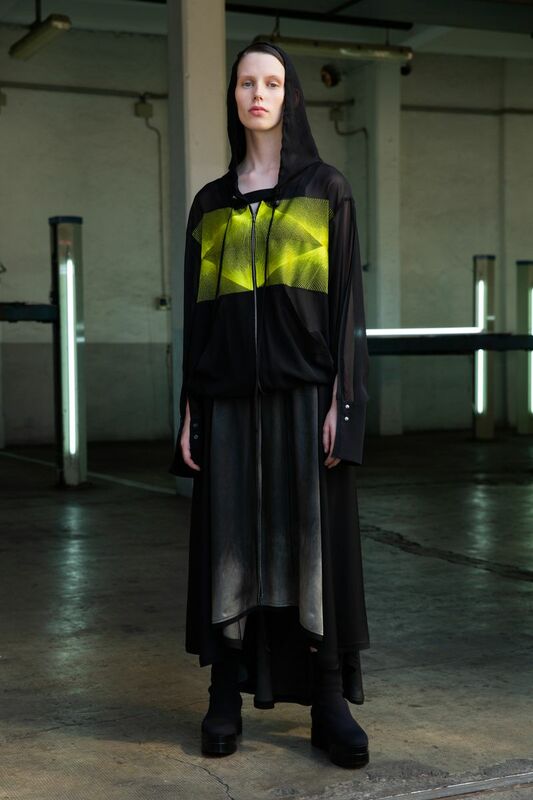 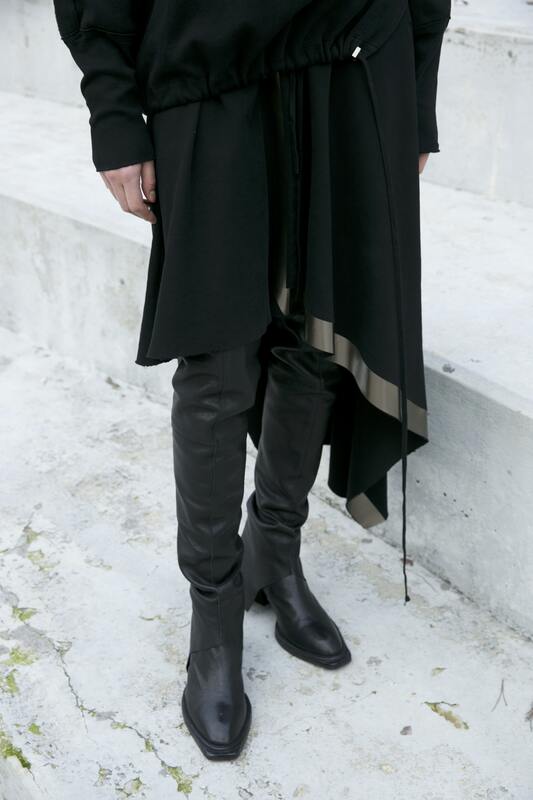 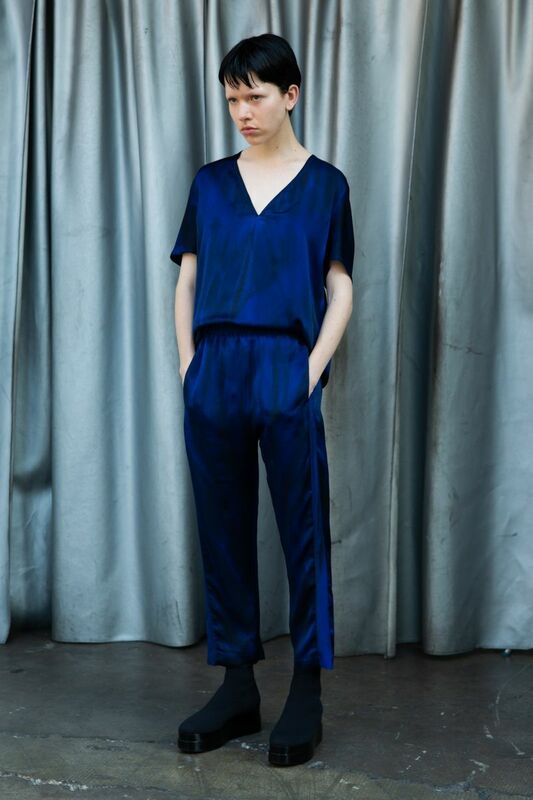 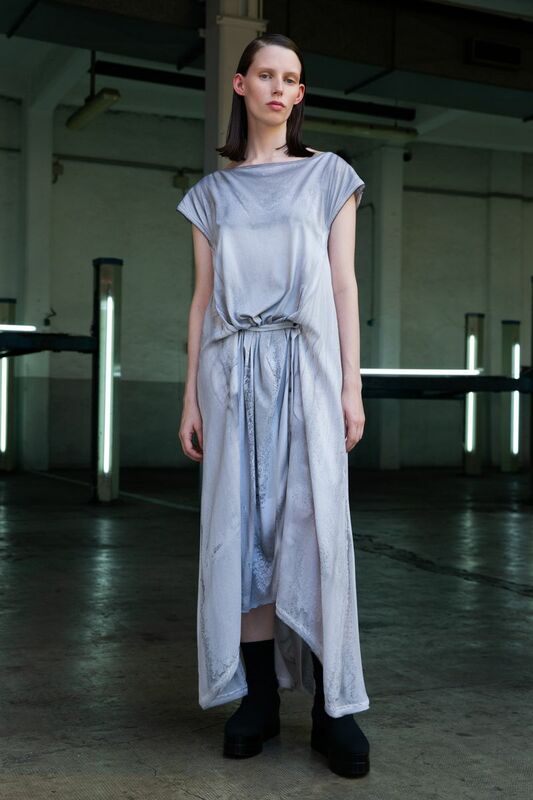 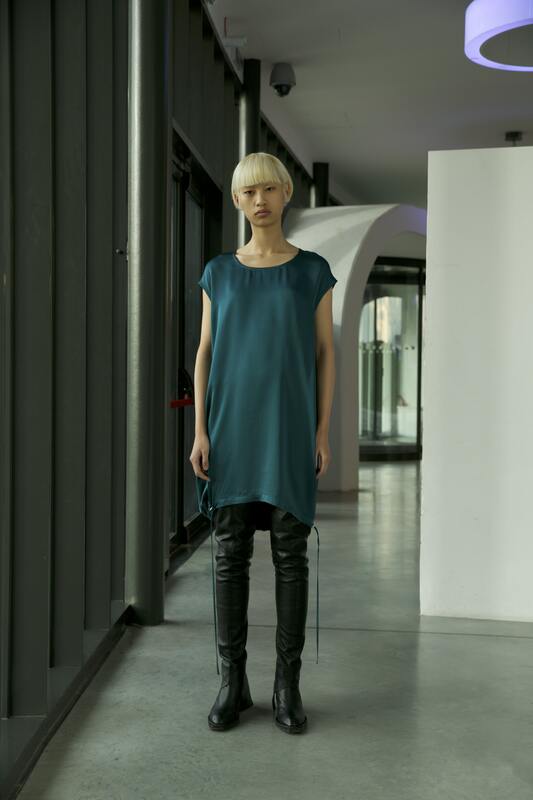 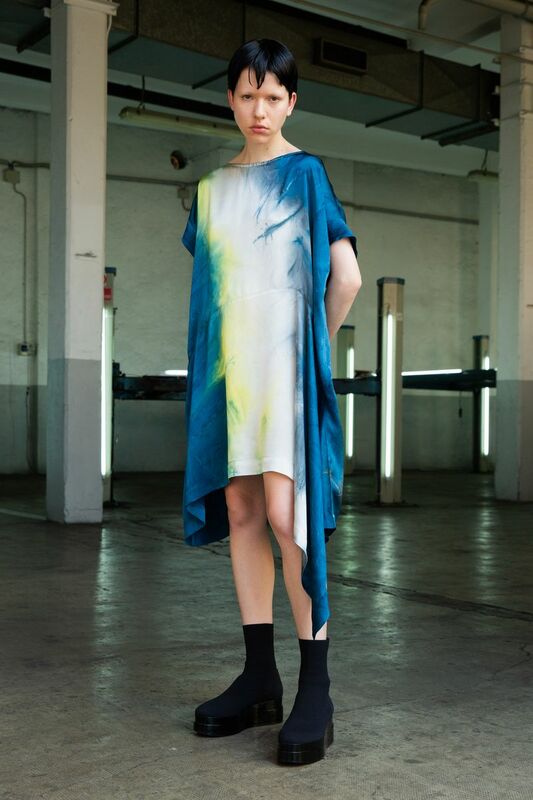 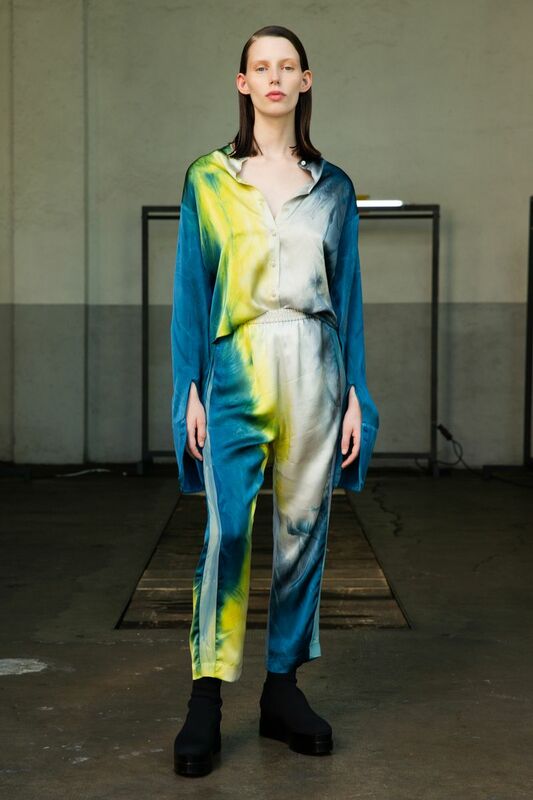 Ilaria Nistri is a young Italian designer who launched, in 2006, the clothing brand under her name. 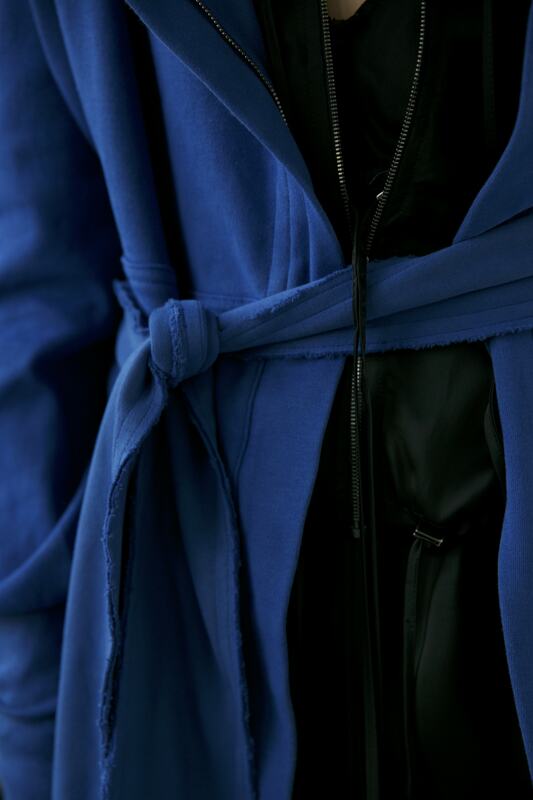 From the start, the signature of the designer is clearly stated in an acrobatic but extremely precise cut, an association of the finest materials and their combination in a single garment, exclusive art prints, as well as in a specific asymmetry, characteristic of the brand. 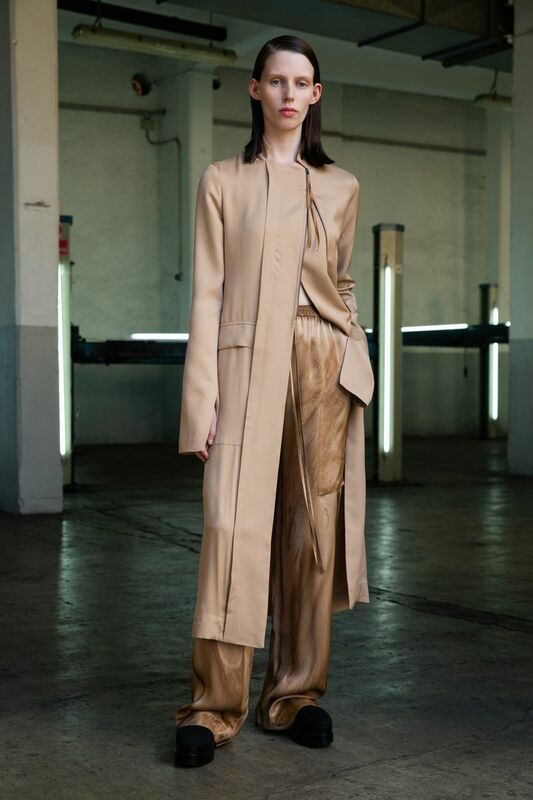 At the heart of the style of Ilaria Nistri are natural feminine shapes and a refined elongated silhouette, built by layerings, with unexpected cut details. 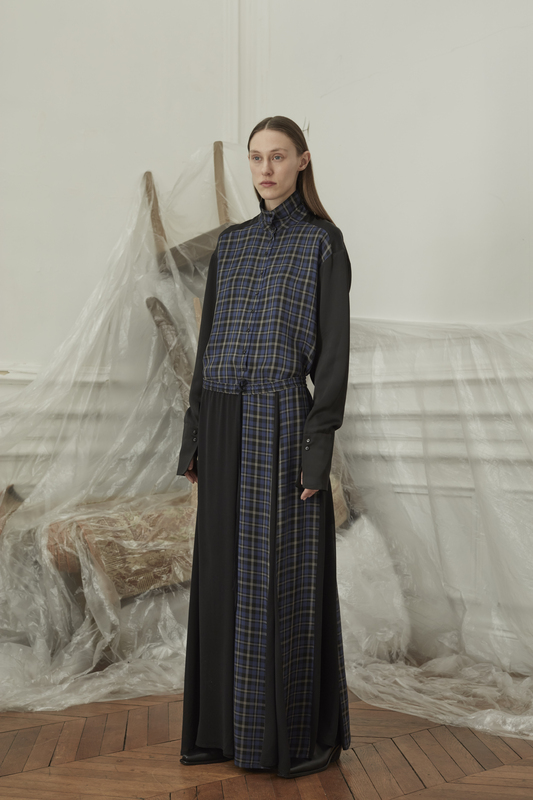 These garments are designed for women who appreciate quality of tailoring, creativity without excessive extravagance and luxurious natural fabrics. 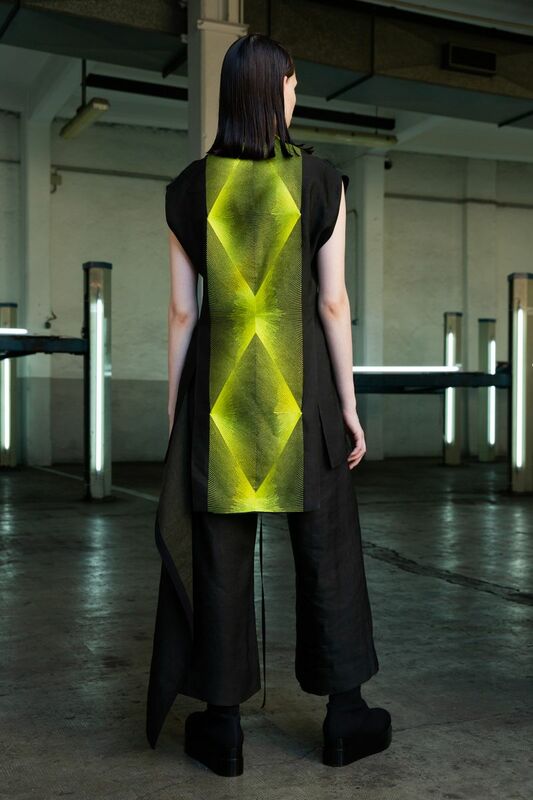 The designer uses in her work silk, cotton, leather, wool and treats them in an original way creating unconventional textures with special effects. 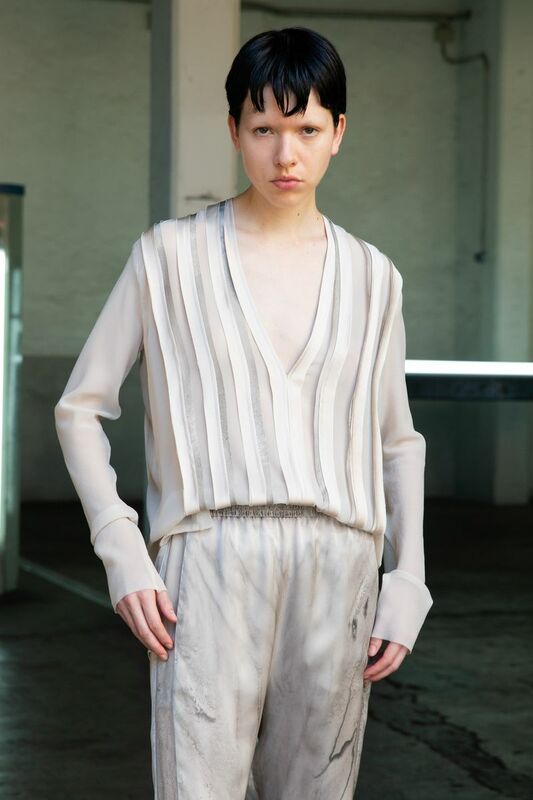 Ilaria has an extensive knowledge of all these raw materials through the experience received in the textile factory of her father, in Tuscany, where, at present, her clothes are manufactured. 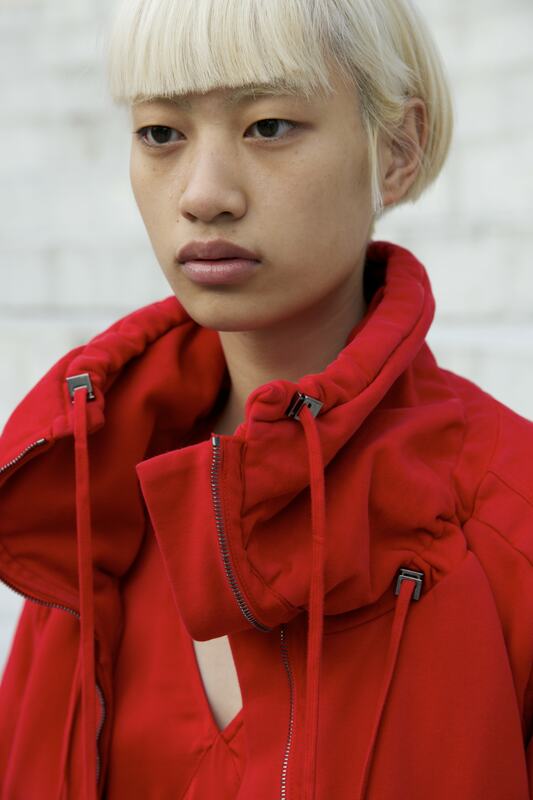 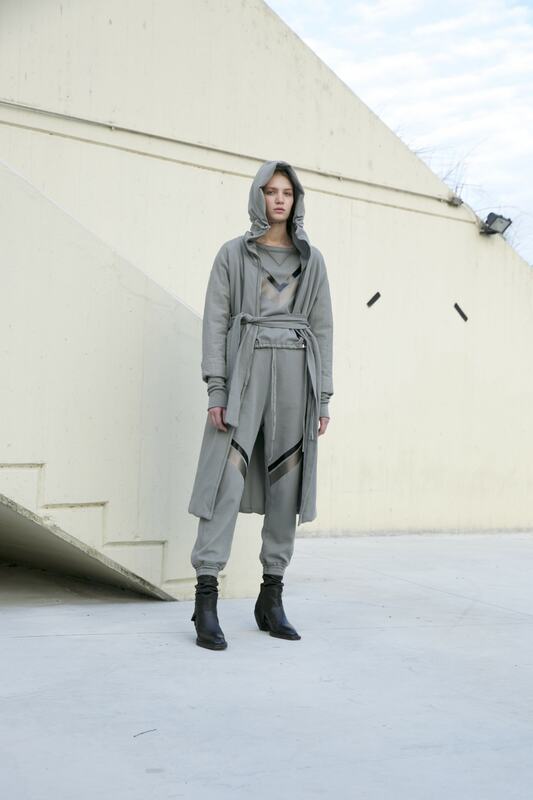 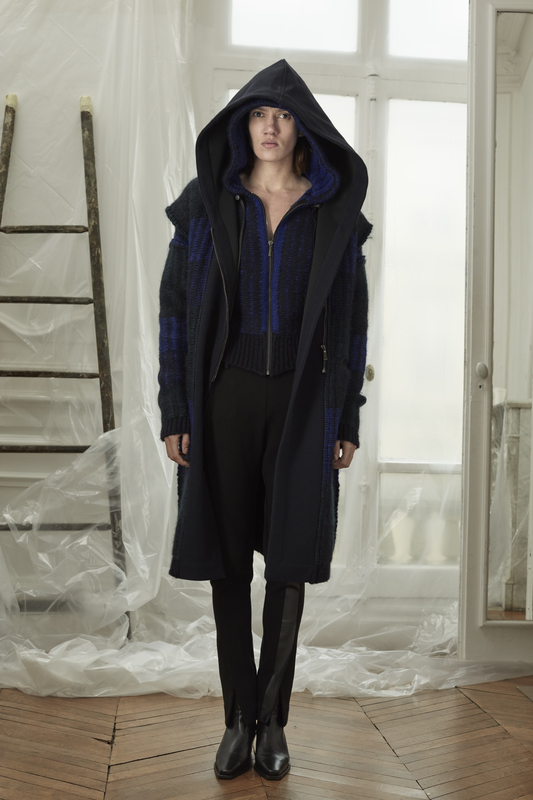 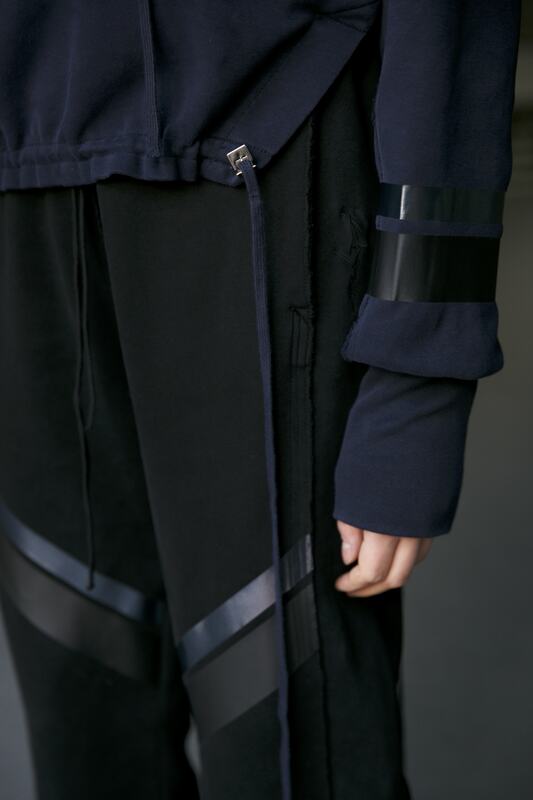 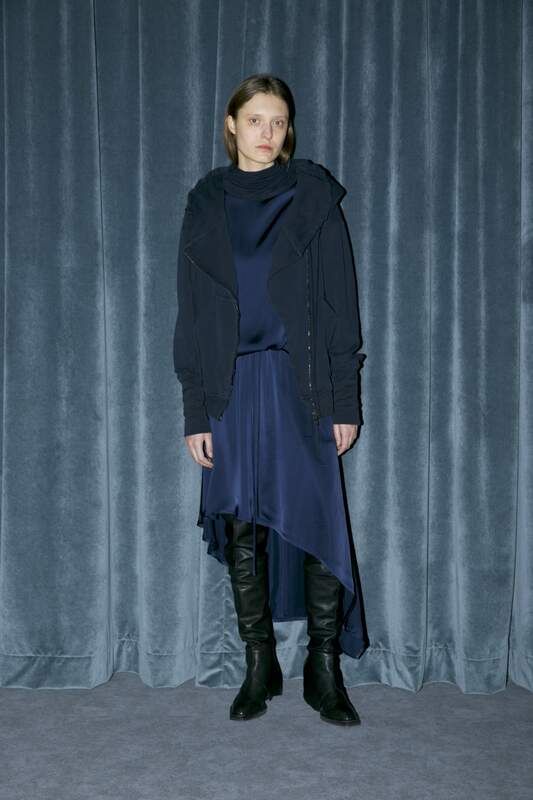 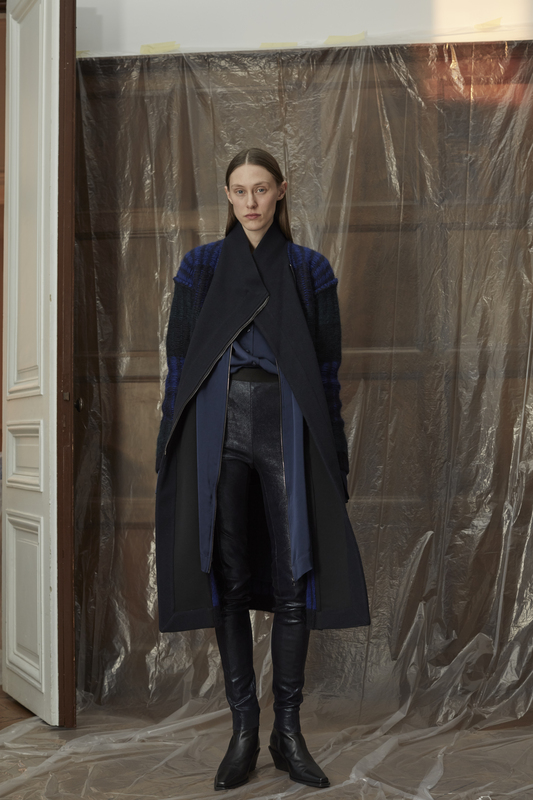 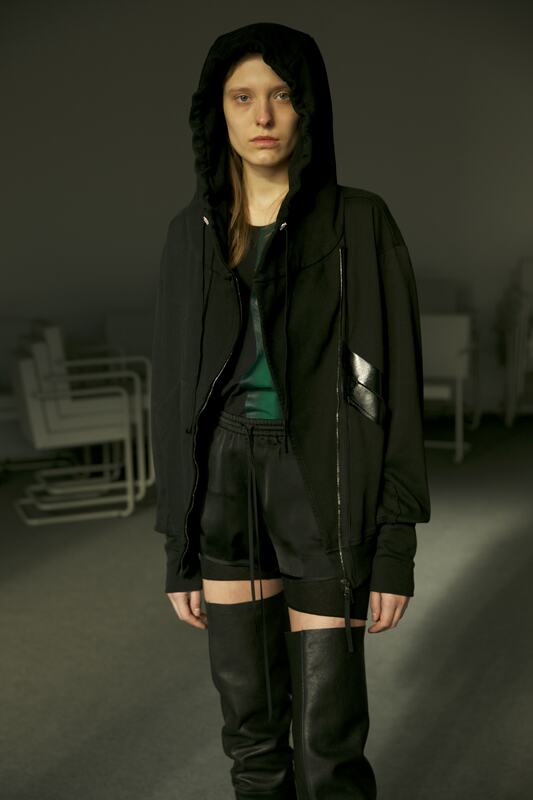 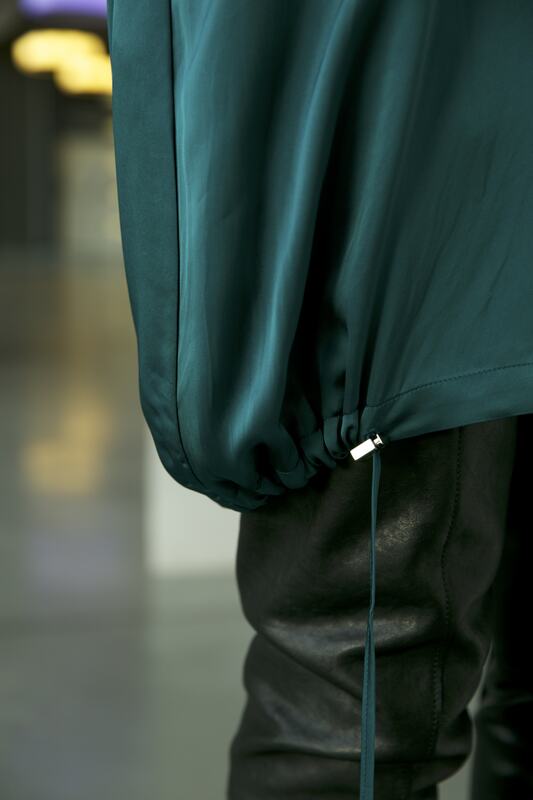 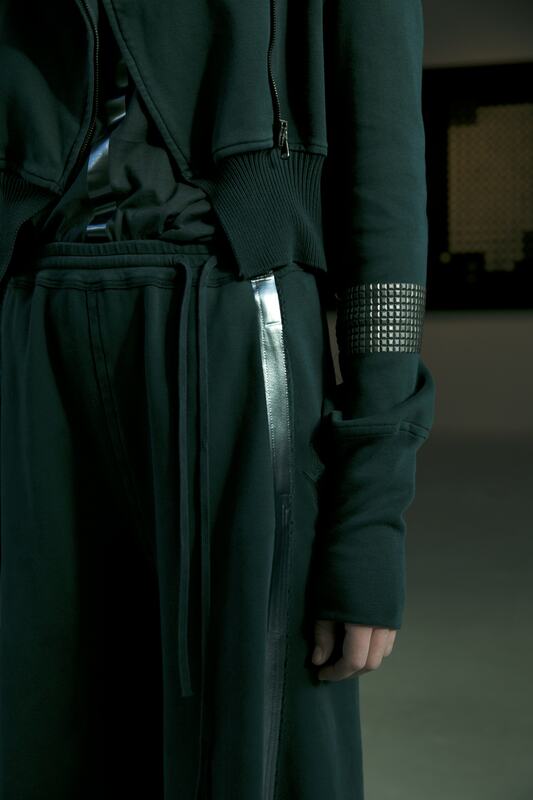 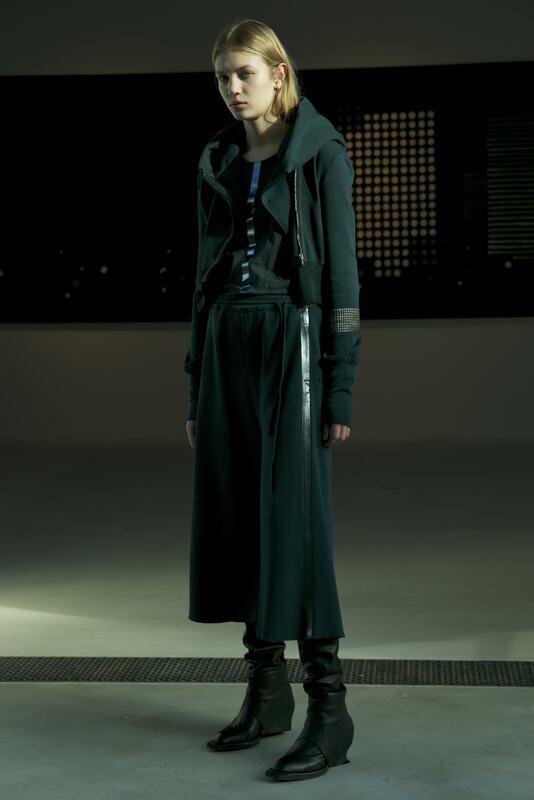 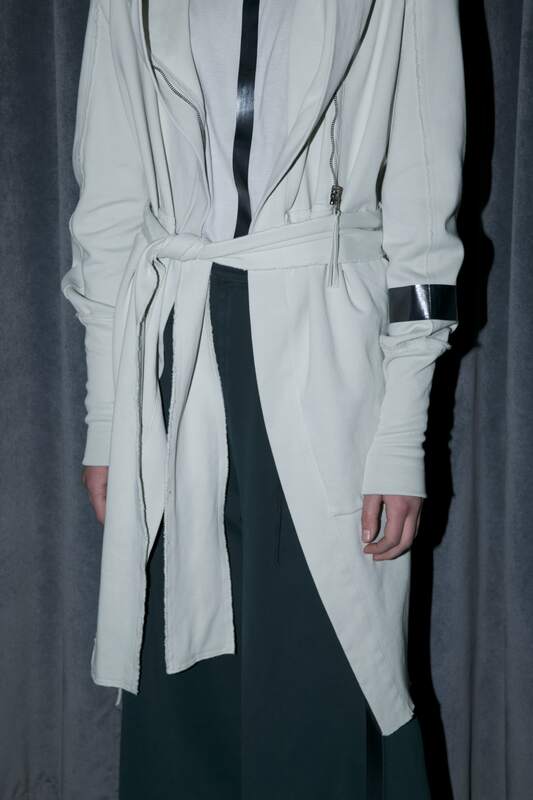 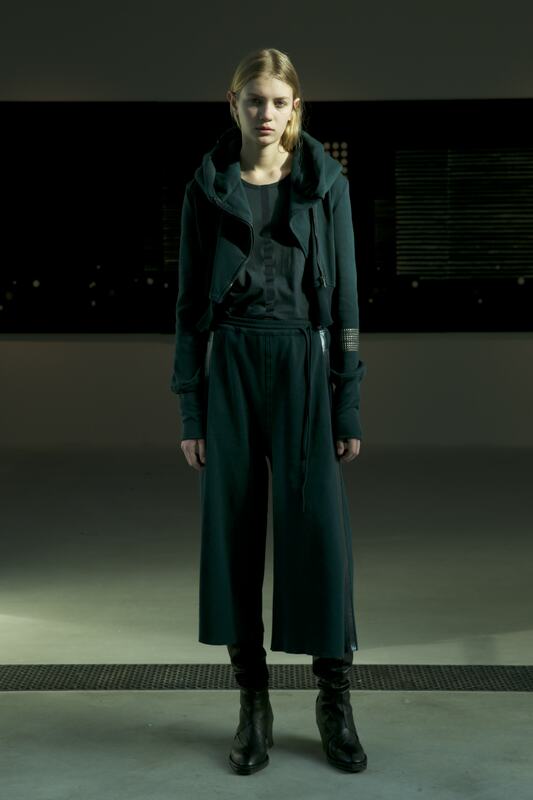 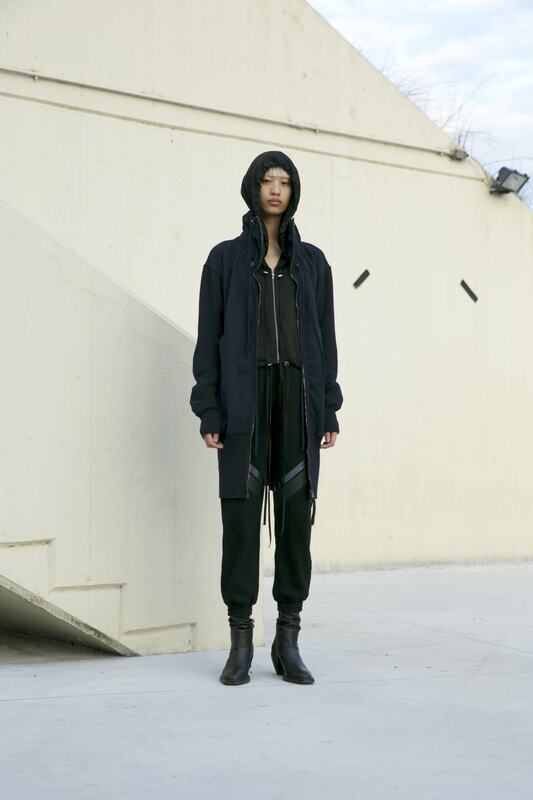 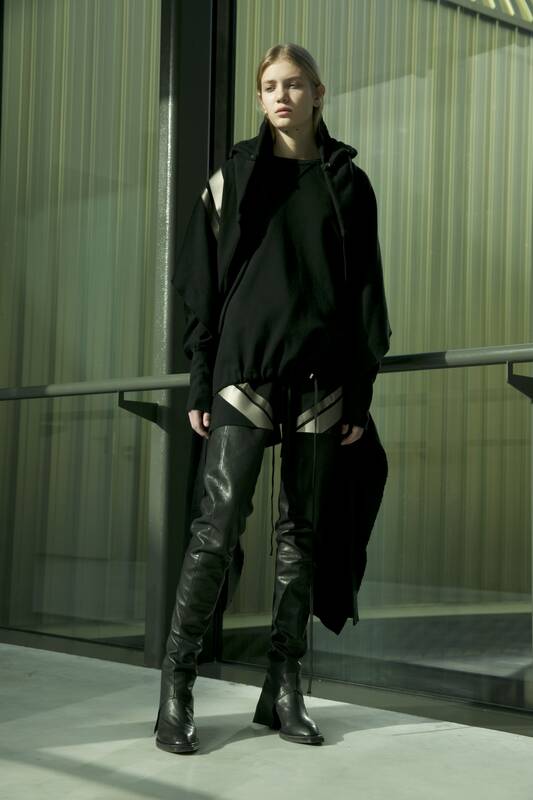 From the first collections, the brand has achieved wide acclaim and international recognition. 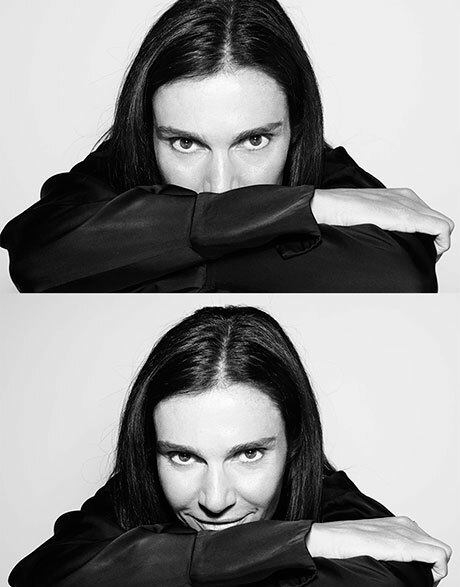 In 2007, Ilaria opened her first mono-brand store in Forte dei Marmi, and a year later, a showroom in Milan. 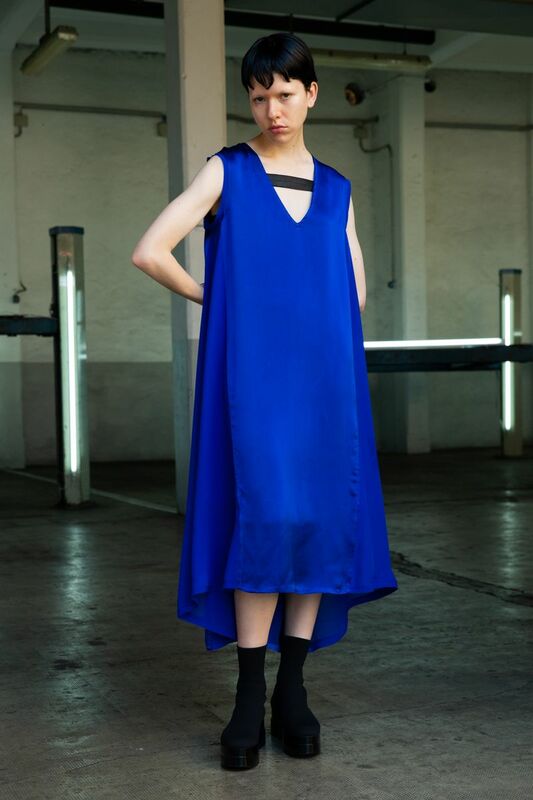 In 2008, Vogue Italia has named Ilaria Nistri “best young Italian designer”. 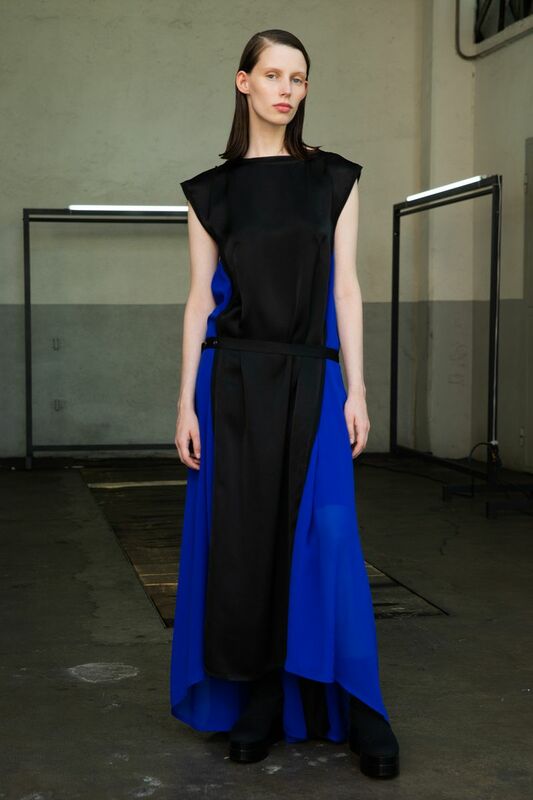 She received the grand prize “Who is on Next”, organized by this prestigious Italian magazine jointly with AltaRoma. 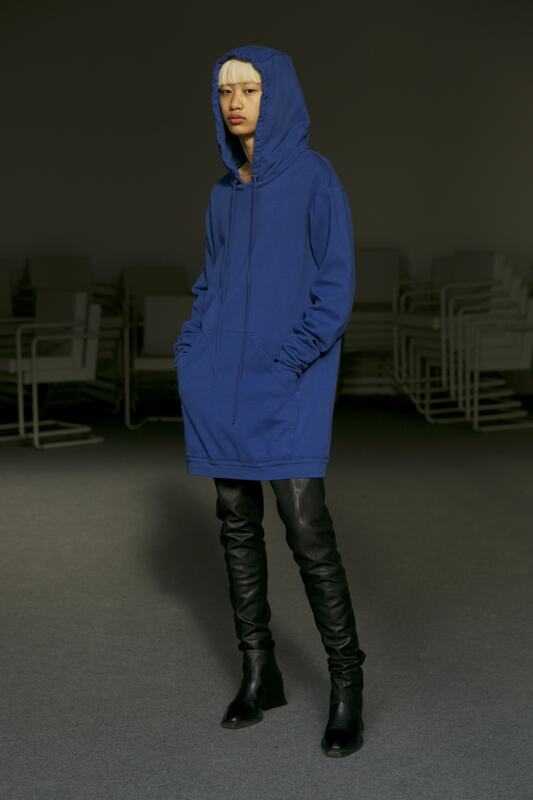 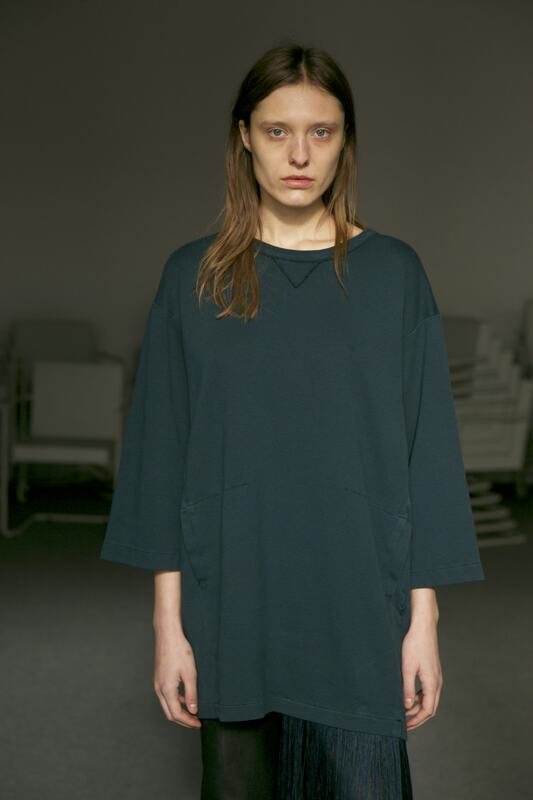 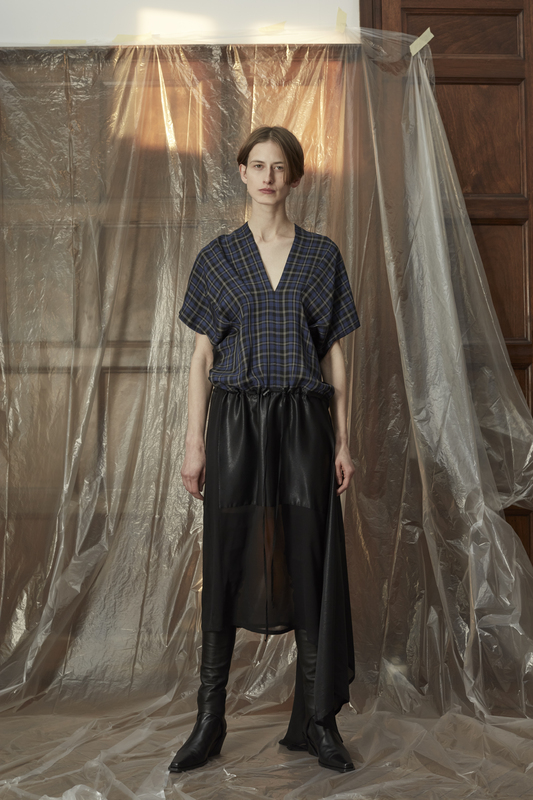 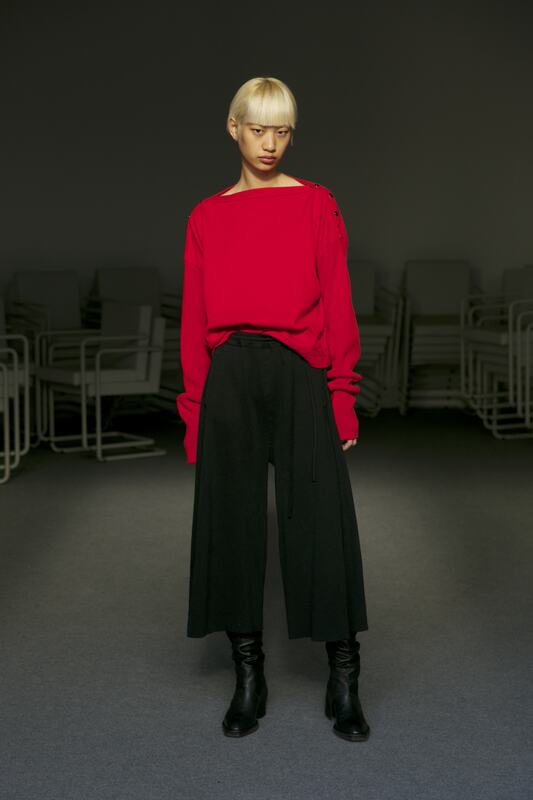 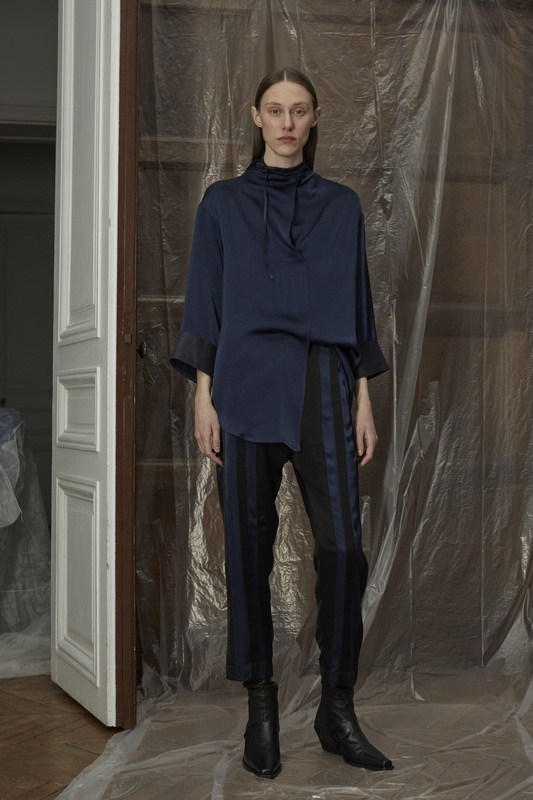 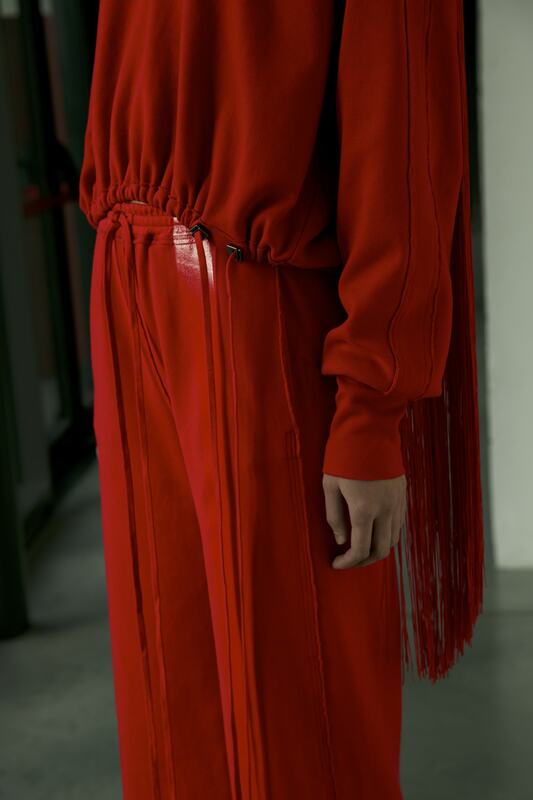 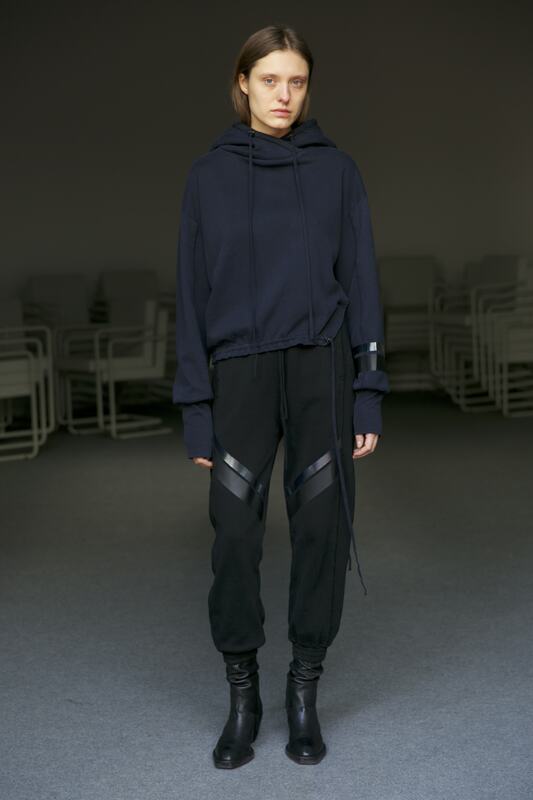 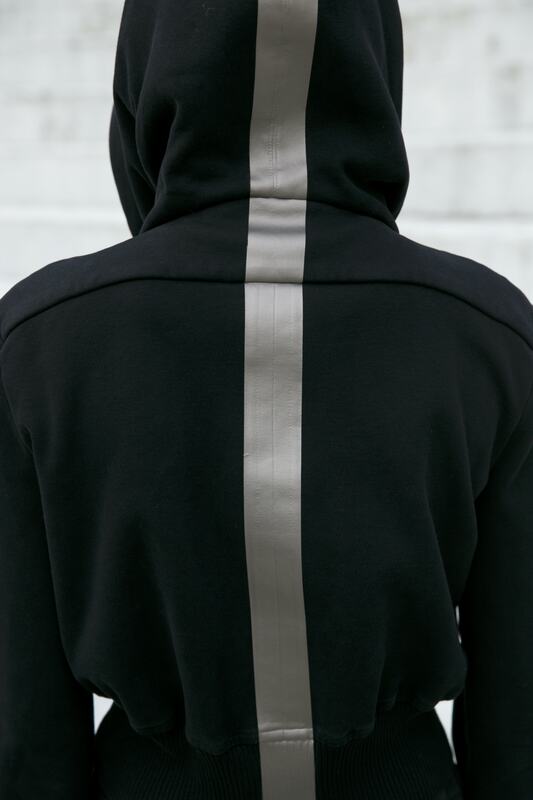 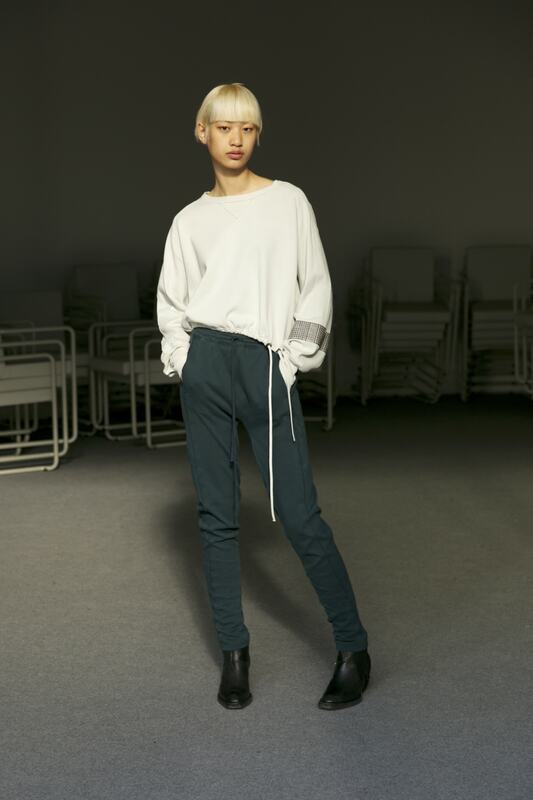 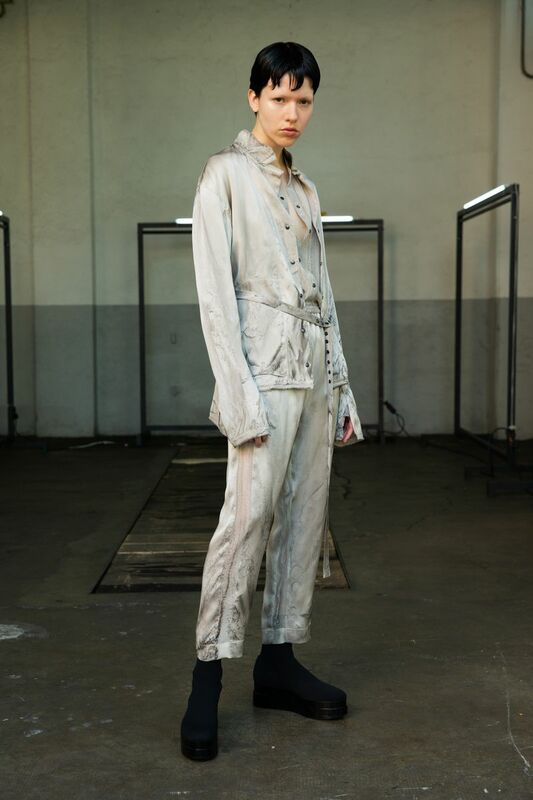 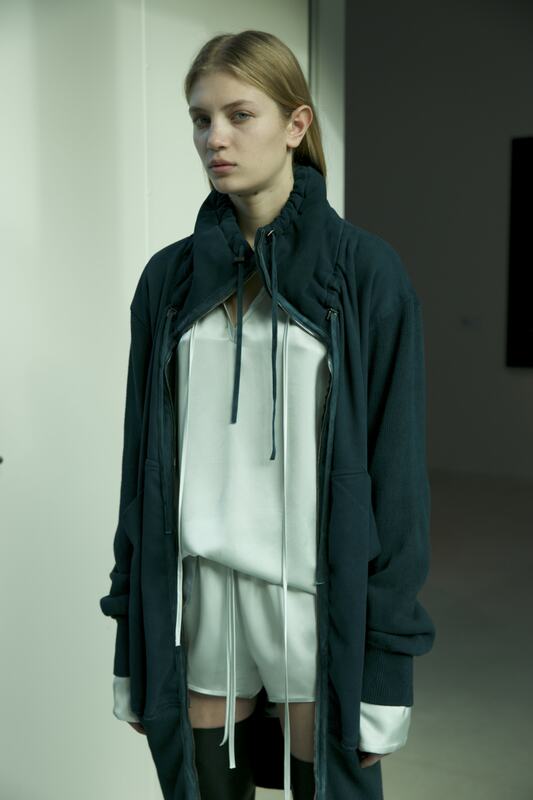 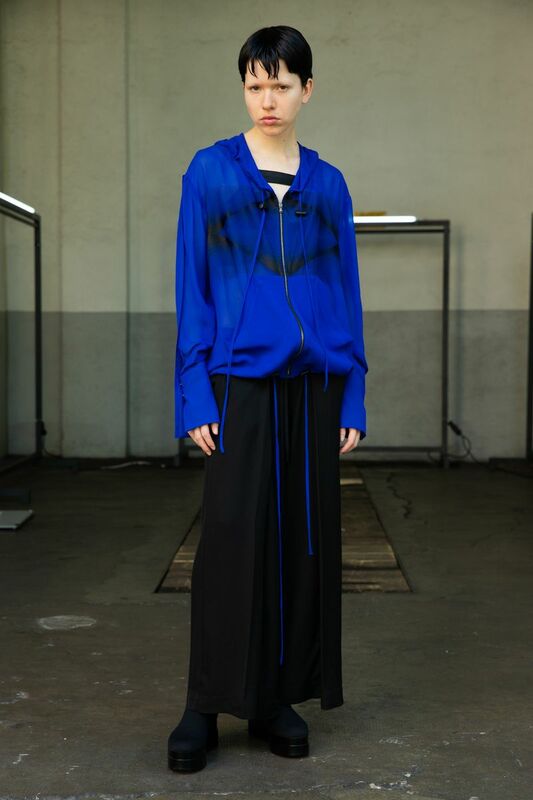 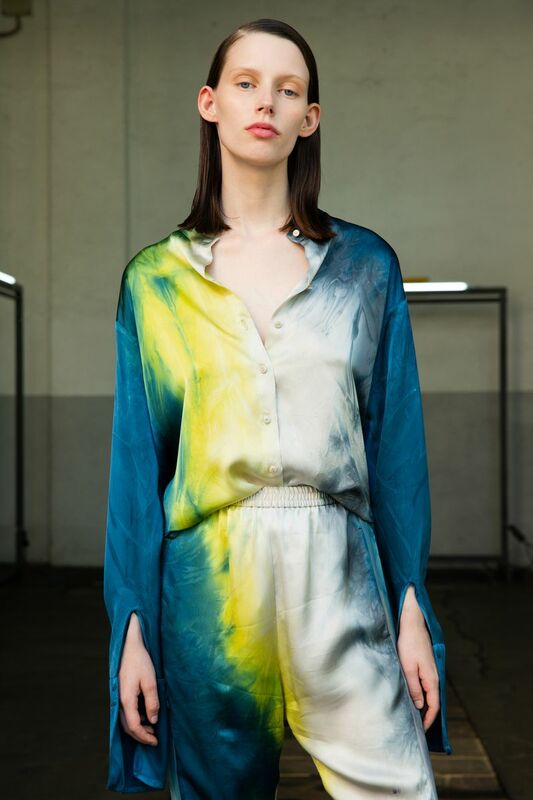 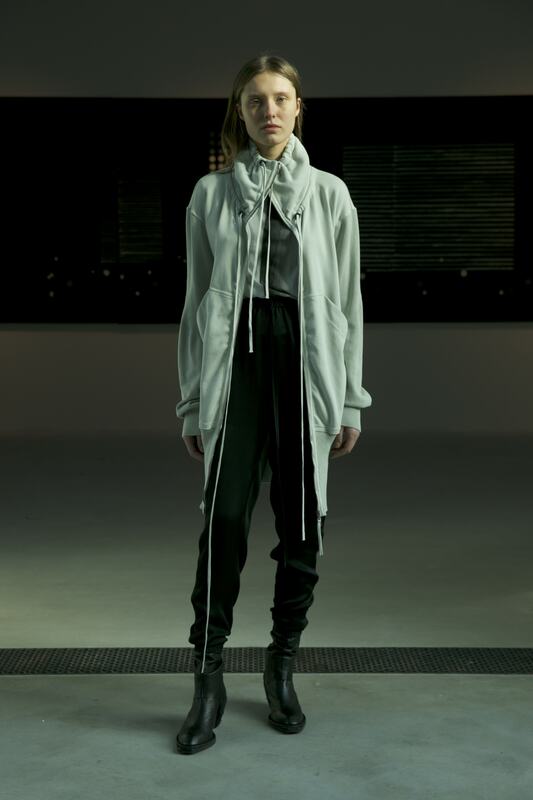 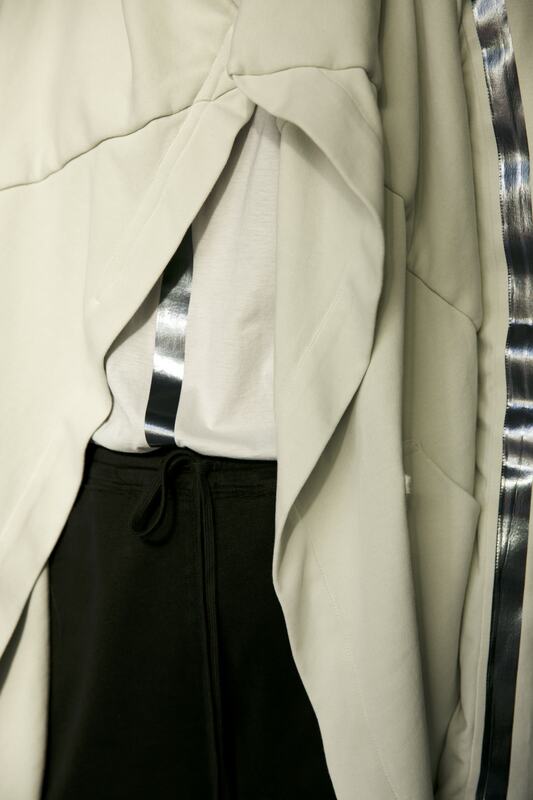 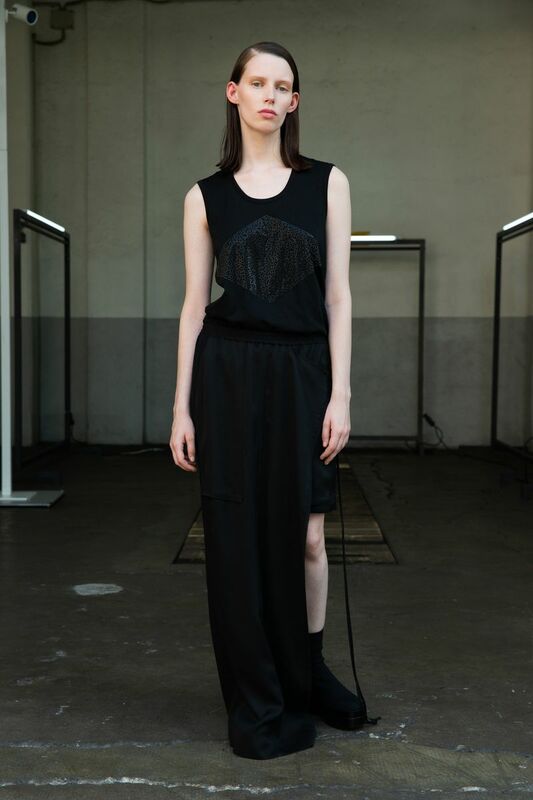 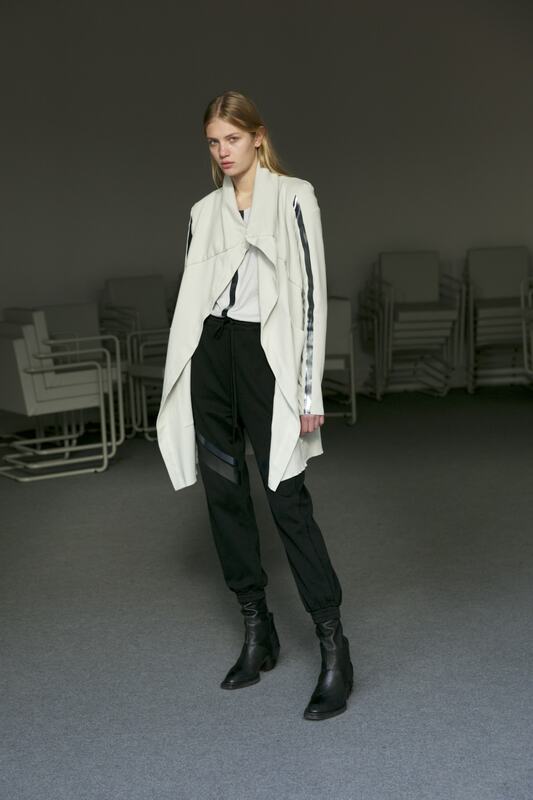 In 2010, Ilaria Nistri launched a second line, Roque, which plays with the existing codes of the brand in more light and casual materials, while offering prints of great artistic value and different options of the silhouette construction through the layerings. 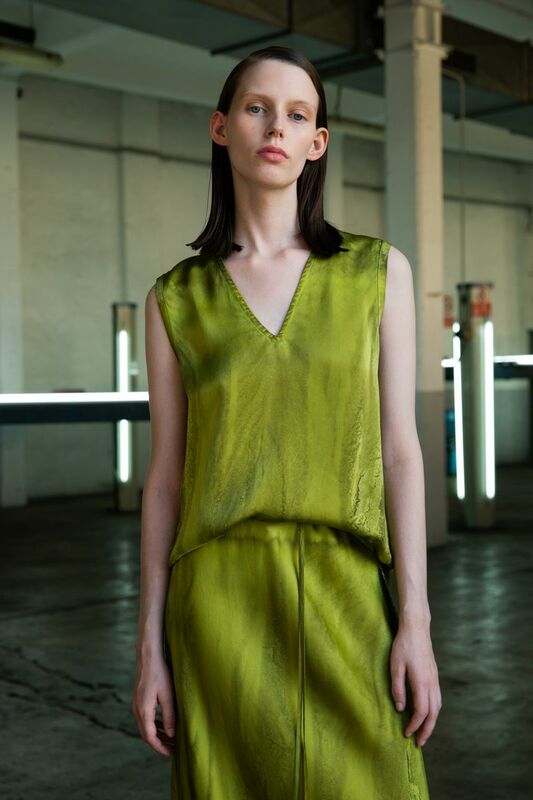 Each season Ilaria, in collaboration with various artists, launches projects which afterwards determine the themes of the collections and bring the designer ever closer to the world of art. 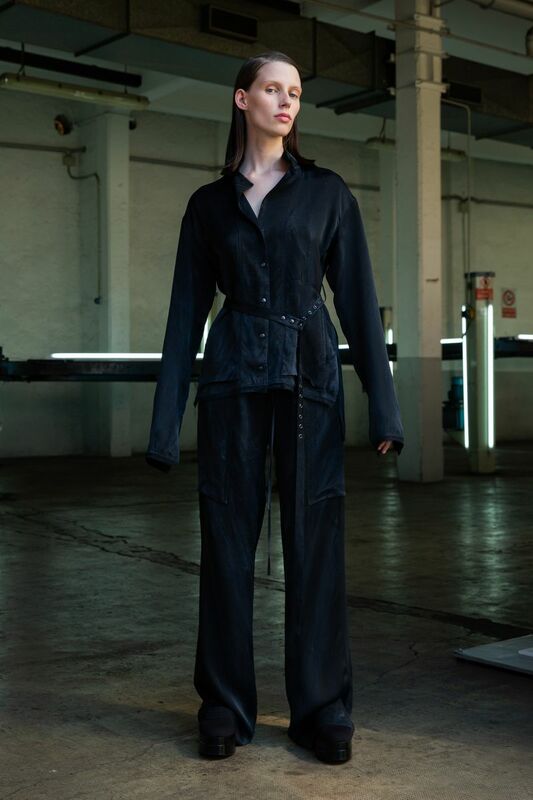 A great moment of this collaboration was the creation by Ilaria of the costumes for the show Liquida Matrice of the famous Italian theater Santasangre. 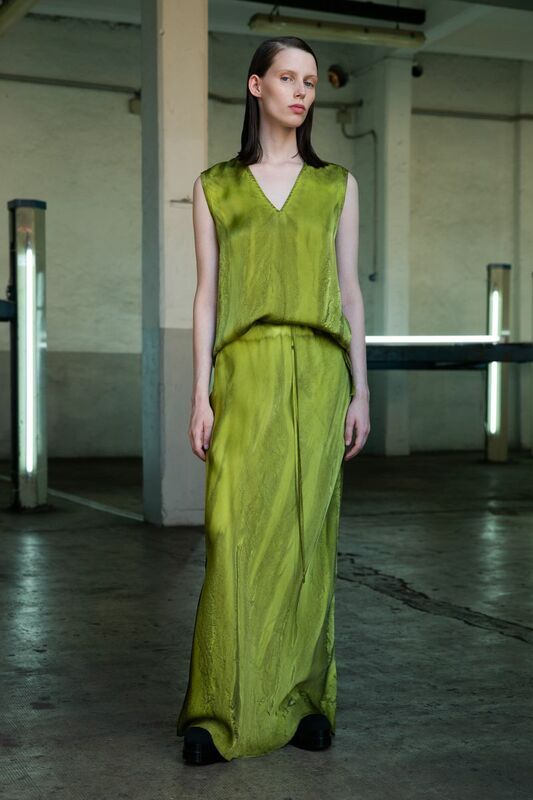 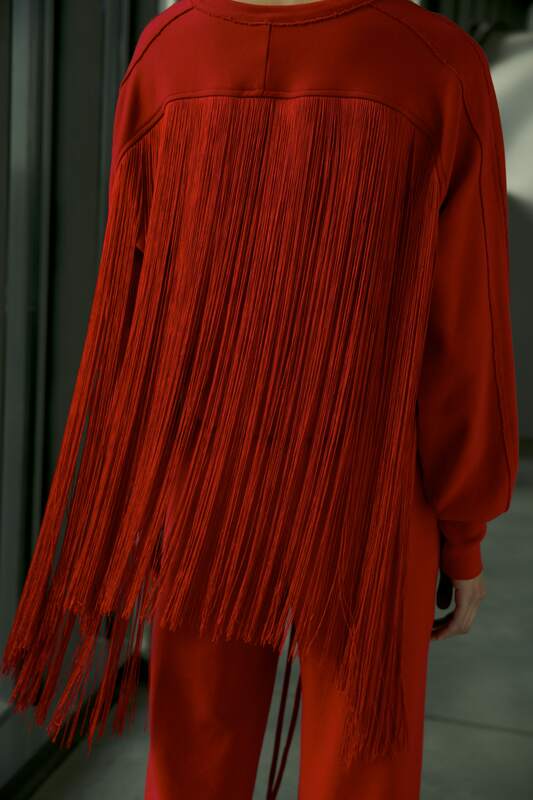 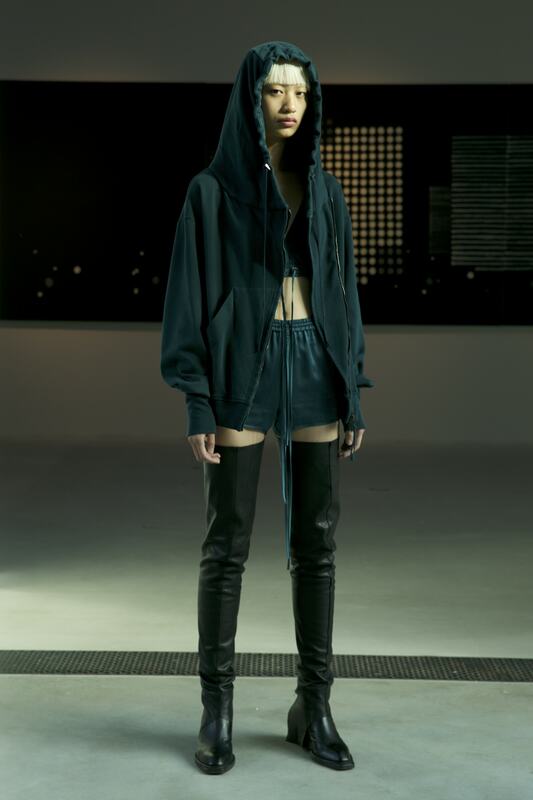 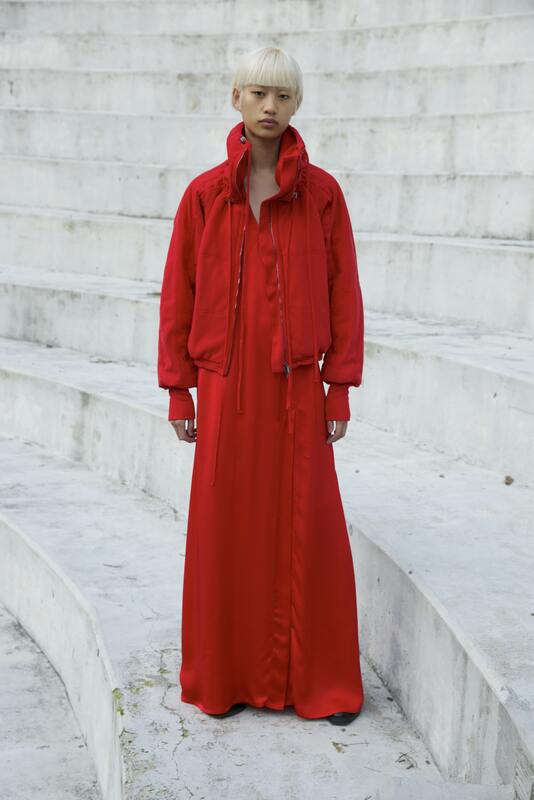 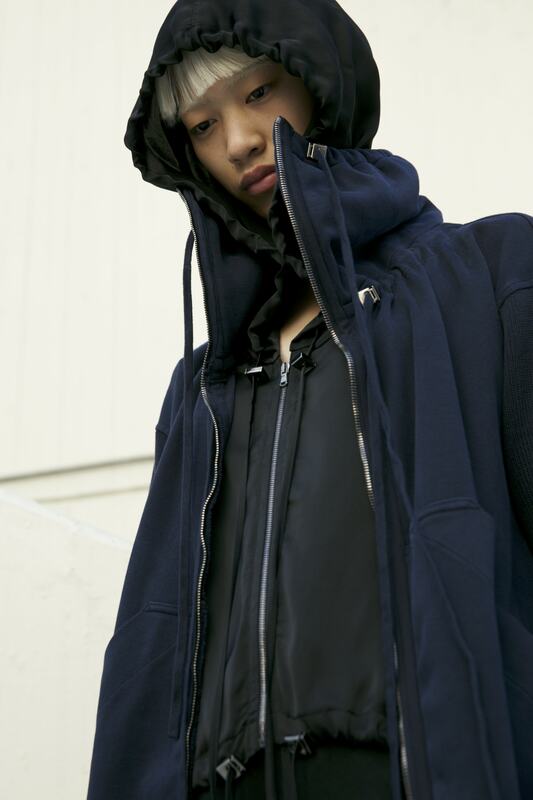 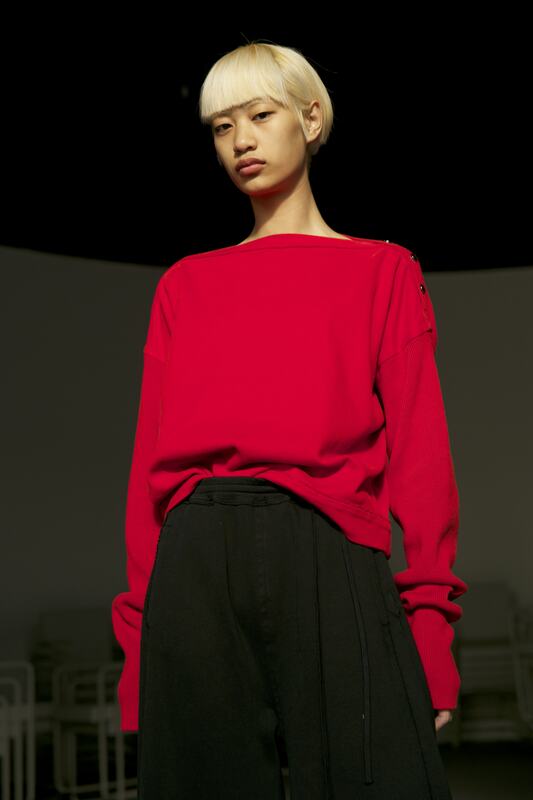 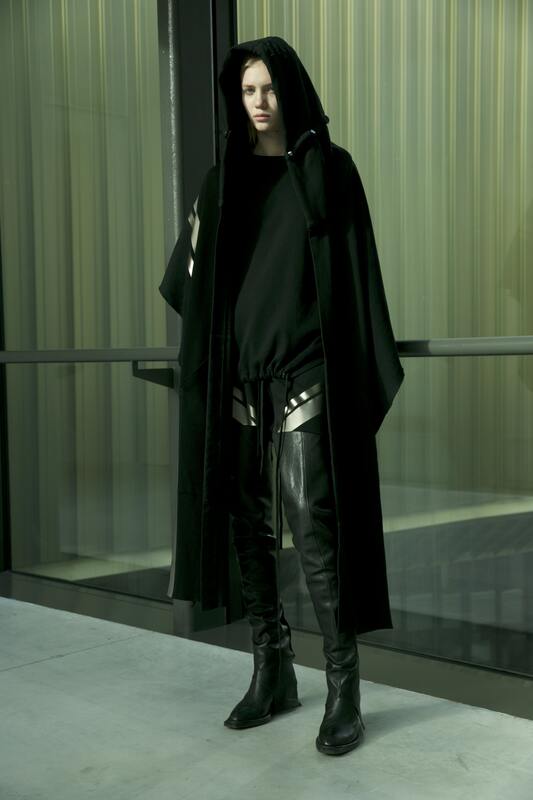 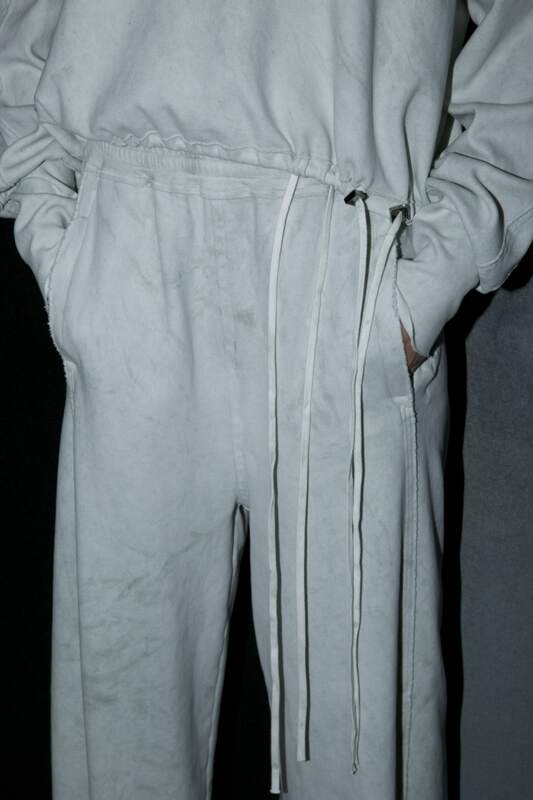 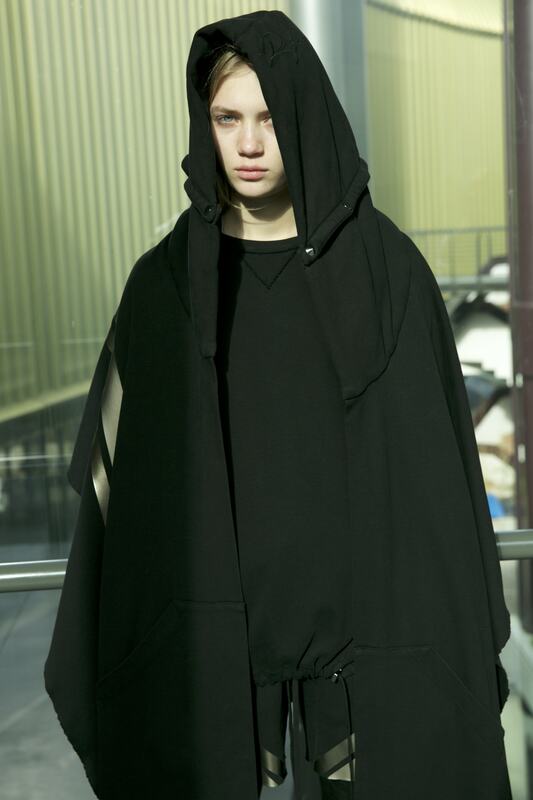 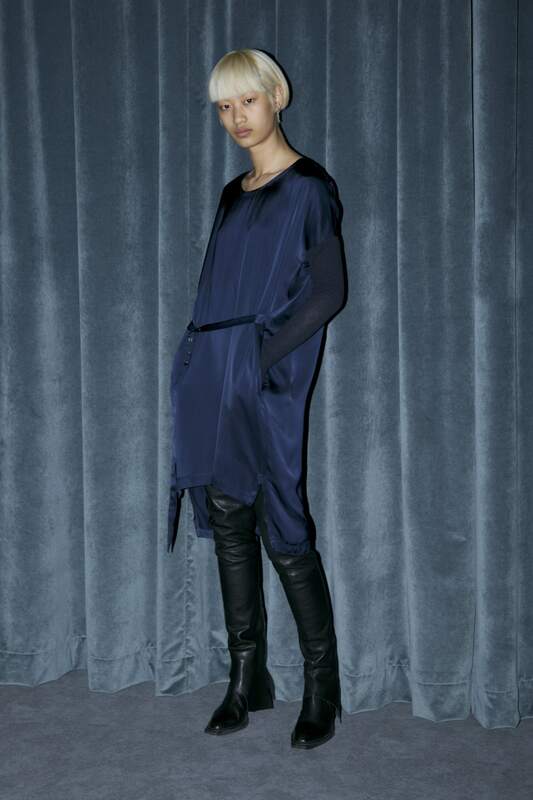 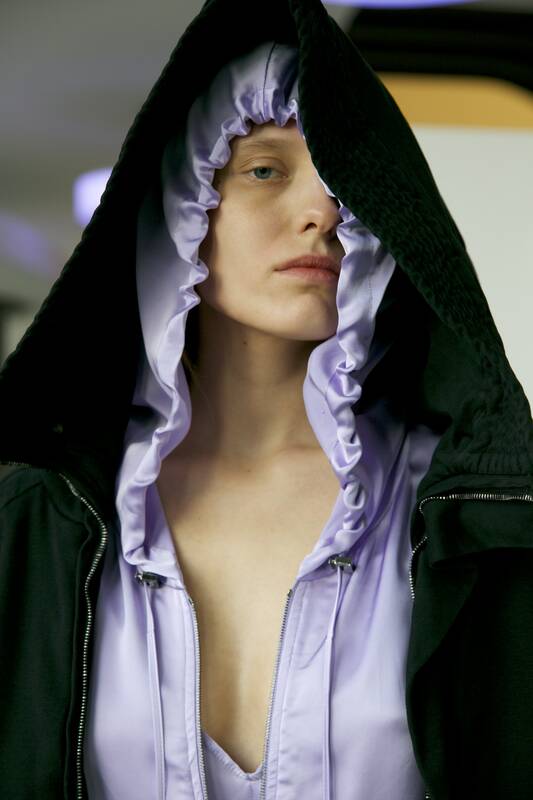 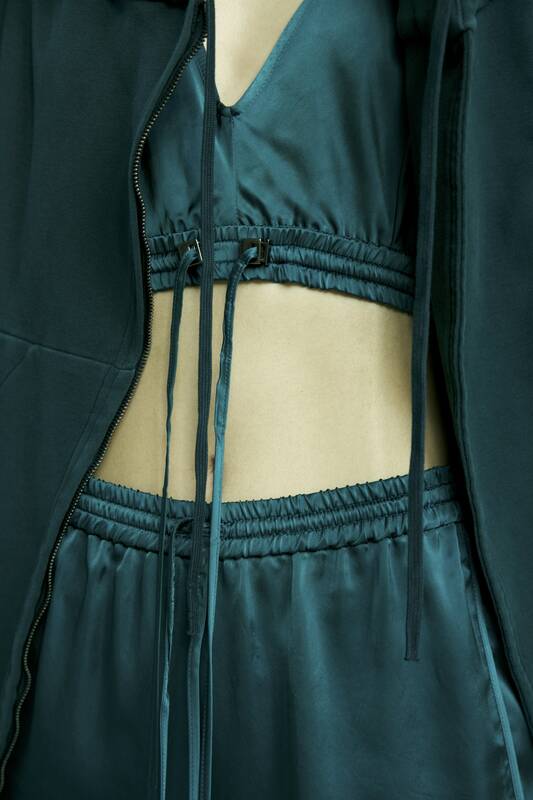 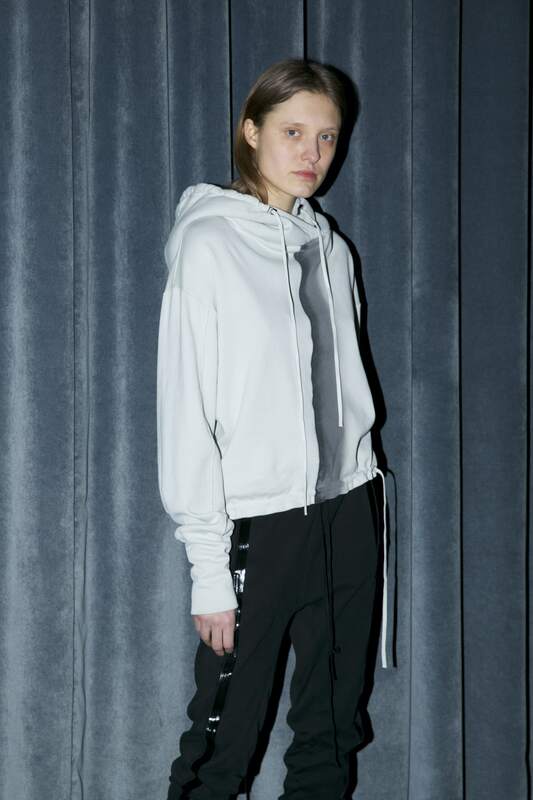 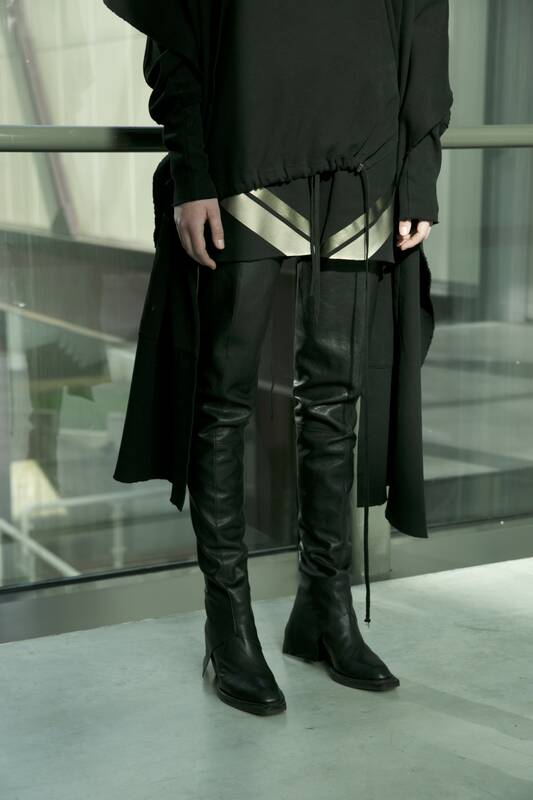 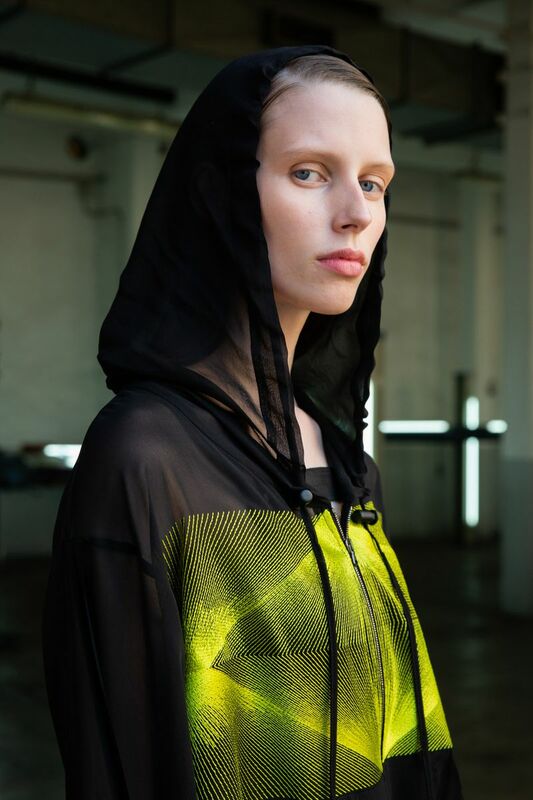 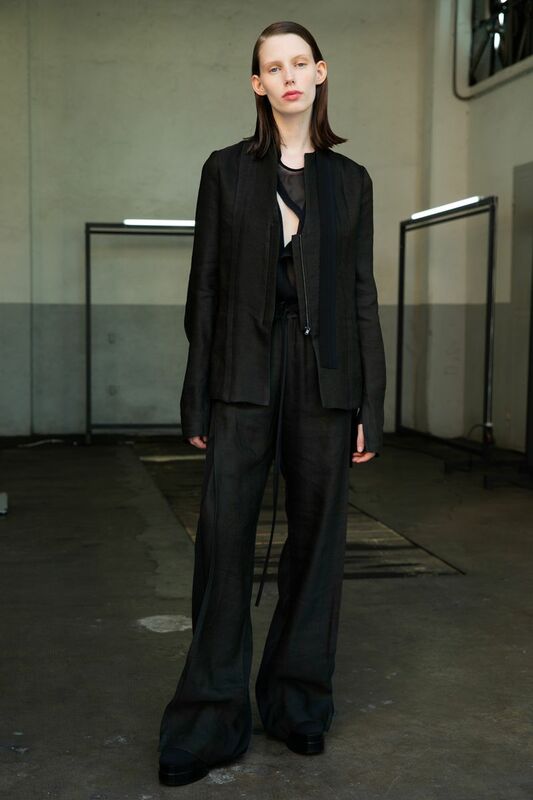 The brand has received recognition of major “fashion temples,” such as Antonioli in Milan, L’Eclaireur in Paris, Leform and TSUM in Moscow, Piaf in Beirut, INVOGA in Kiev.